Edgy Labs tests your knowledge. Could we go 100% renewable energy for a whole year? Costa Rica almost did. What percent clean energy could we use? Costa Rica is making strides in its use of renewable energy. The country got 98% of its electricity from renewable sources and didn’t have to burn fossil fuels for more than 250 days. Could other countries follow their example? The Central American country of Costa Rica is chiefly powered by hydro, geothermal, solar, wind and biomass energy sources. Fossil fuels are still heavily used in their transportation industry, but their government has some very progressive ideas when it comes to green energy. According to the Costa Rican Electricity Institute (ICE), there are plans to open more renewable energy sites. ICE Executive President Carlos Obregon noted that there are plans for four new wind plants in a year’s time, and the outlook is good for their hydroelectric plants. 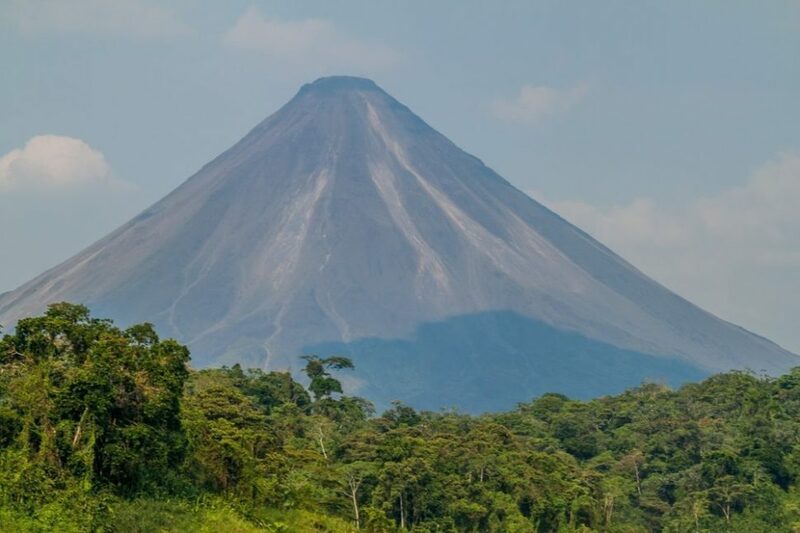 Costa Rica made headlines in September when they ran their electrical infrastructure with renewable resources for 113 straight days, but that doesn’t mean that they are ready to become 100% renewable. Still, they are closer than some larger countries so that they might serve as a good example for renewable energy efforts worldwide. Renewable energy is a hot ticket all over the world. Costa Rica has achieved an impressive record, but larger countries like the U.S. and China are spending a lot of time and effort into improving their renewable sources. China has a rapidly growing renewable energy sector, and they became the largest producer of solar energy in 2015. In the U.S., companies are innovating with biofuels made from unexpected sources, such as a cross-country flight powered by wood scraps. Larger countries have a huge challenge ahead of them when it comes to generating enough renewable energy to make fossil fuels obsolete. The technology may not exist yet, but it soon will. That day is soon coming, and there are a few things that governments and companies should keep in mind. The best incentive for green energy will come from an economic stimulus. In a word, green energy needs to be cheap and efficient for it to be attractive to consumers. For that to happen, governments and businesses will have to work together to find the right level of regulation to ensure that renewable resources are efficient and affordable. Furthermore, environmentalists have a unique role to play: Don’t push too hard. Government regulation isn’t the only factor that controls the price of renewable energy, so trying to force people onto more expensive alternate energy storage is only going to make them resent the very idea. Budgets should be allocated to promote science and research, not political grandstanding about how much money is wasted by not using fossil fuels. We hope to see renewable energy sources flourish, and thankfully for the world, scientists and countries like Costa Rica agree. Why is no one Talking About LENR Cold Fusion?